Stratford salutes spring as the swans parade to the Avon River marching to the beat of the Scottish pipes and drums. Swan walks, forages off beaten paths and spring birder outings guided by area naturalists are some of the many activities in the area. We'll also entertain you at the Stratford Shakespeare Festival celebrating 60 seasons of great theatre and share our distinctive heritage. Explore the rich agricultural heritage of the county and sample fresh edible plants on spring adventures. 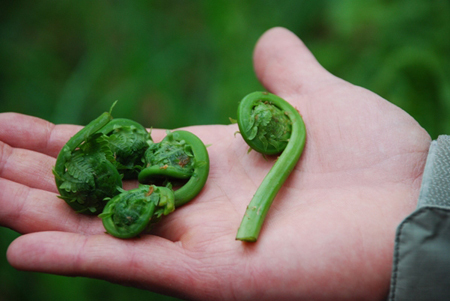 Foraging with Peter Blush takes you to the wild side to find unexpected spring pleasures – tender fiddleheads, wild leeks, ginger and marsh marigolds. Don’t forget your ‘wellies’, foraging tours go rain or shine. Our culinary passion starts with our producers working in Perth County’s unique "terroir" to produce flavourful Ontario garlic, a wide range of heirloom vegetables, artisanal cheese and heritage meats. 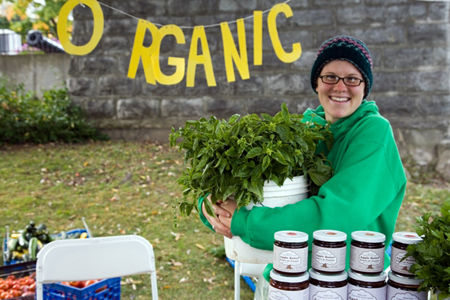 Taste the difference when you meet the producers on a farm visit, at the market, or at one of our renowned restaurants. The Stratford Farmers Market is a great spot to strike up a conversation about seasonal crops and how to use them. Operating since 1855, it is one of Ontario’s oldest. Our Slow Food Market on Sundays creates a lively buzz in Stratford’s Market Square - where the market took place historically - as people gather to shop, sample, socialize and listen to local musicians. 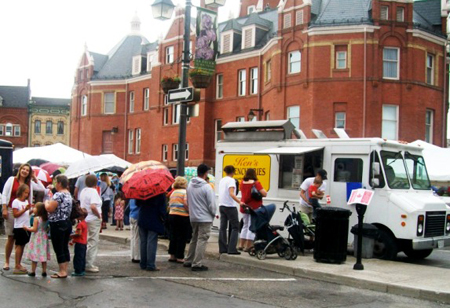 Food Truck Eats comes to Stratford on Sunday, May 6! For the first time outside of Toronto, five gourmet food trucks caravan to Stratford to join Ken’s French Fries, a staple in Stratford since 1953, in the historic Market Square. This innovative food trend is growing in popularity and upping the ante for delicious street food. Local chefs will participate with “pop up” restaurants alongside the food trucks and Slow Food Market vendors. 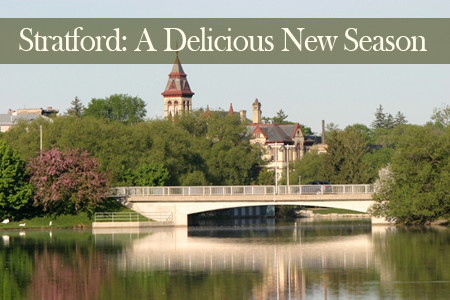 Make it a spring weekend getaway celebrating food and fun in Stratford. Perth County is well known for producing pork. As long time host of the Ontario Pork Congress, Stratford celebrates “Pork-a-polooza” with innovative restaurant menus featuring pork complimented by fun pork events throughout the month of June. We even offer a Bacon and Ale Trail, a fun way to taste bacon in a variety of presentations and restaurants. What could be better than spending an afternoon (or two) strolling the Victorian streets of Stratford and sampling chocolate? Treat yourself and a friend to the Savour Stratford Chocolate Trail. With three candy-makers in Stratford, chocolate comes naturally to us. You will love choosing your stops to sample chocolate-covered almond brittle, chocolate dipped biscotti, chocolate chili tea and even a chocolate martini, just of few of the many delights on the chocolate trail available any time of year. You’ll want to try them all. Culinary Getaways inspire as our culinary experts share their passion with hands-on experiences. Exclusive programmes provide insight into aspects of growing organic food, making artisanal cheese, working with chocolate and blending teas. Professional guided workshops in a personalized atmosphere present a rare opportunity to interact with our culinary experts. Stratford boasts some of Canada’s best preserved 19th century architecture. While strolling our Victorian streets adorned with hanging baskets and flower dotted patios, you can look up to see architectural details of our historical buildings. Our heritage walks tell the stories, sometimes amusing, sometimes gruesome, but never boring. Famous and infamous characters range from Thomas Edison to the world’s biggest pop star, Justin Bieber! Heritage celebrations are planned for June 2-3. Our Doors Open event (June 2) features 18 adaptive reuse properties - built for one purpose and now adapted for another. 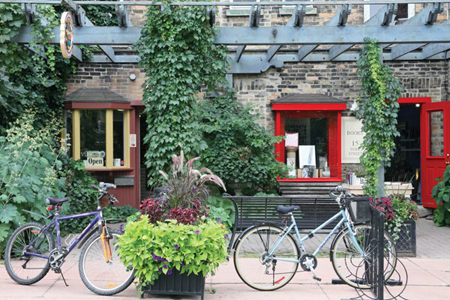 Visit a garden shop, once Stratford’s first brewery, Stratford’s current brewery once a bicycle shop and later a car dealership and a performance space once a bustling furniture factory. Hop aboard horse-drawn carriages touring our heritage downtown. A Canadian Heritage Cuisine discussion with Anita Stewart and a Railway Show, reflecting our CNR roots, are weekend highlights. Oscar winner, Christopher Plummer, presents A Word or Two, an autobiographical journey through literature that has stirred his imagination. Entertaining you with swashbuckling fun in The Pirates of Penzance, Cynthia Dale’s spectacular singing and dancing in 42nd Street, Shakespeare’s Much Ado About Nothing and based on the comic strip “Peanuts” by Charles M. Schulz, You’re a Good Man, Charlie Brown are just a few of the fourteen productions presented on five unique stages from April to October. Most Rare Visions: 60 Years of the Stratford Shakespeare Festival is a new exhibition spanning the Festival’s history from its first season in a tent to the glorious present. 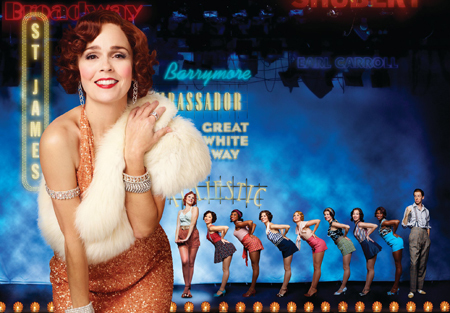 Walk through the backstage of the tent, view rare footage and photos, and an array of eye-catching costumes and artifacts across from the Avon Theatre on Downie Street. 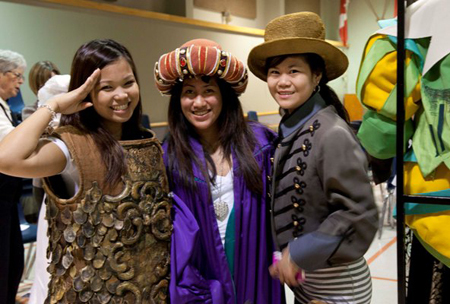 Beyond the stage, take Festival Theatre tours, Costume and Props Warehouse tours, Archives tours and Garden tours for a close-up view into theatrical magic. Learn more and meet the acting company at stage side chats, Table Talks, lectures and workshops. Stratford B&B hosts welcome you to see all there is to do in Stratford and Perth County, offering a hearty breakfast to start your day and total comfort when you return for your evening respite. Download our free ‘visitstratford’ app, your easy Stratford guide in your pocket. Stay at one of the fabulous B & Bs that are members of SABBA, the Stratford area B & B association. 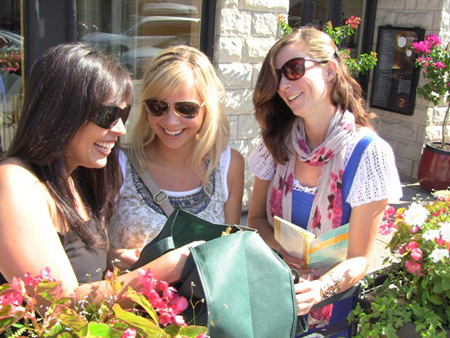 For all there is to see and do in Stratford go to www.visitstratford.ca Follow us on Twitter @StratfordON. 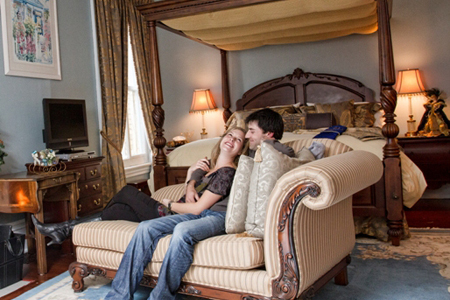 Photos courtesy of Stratford Tourism Alliance.